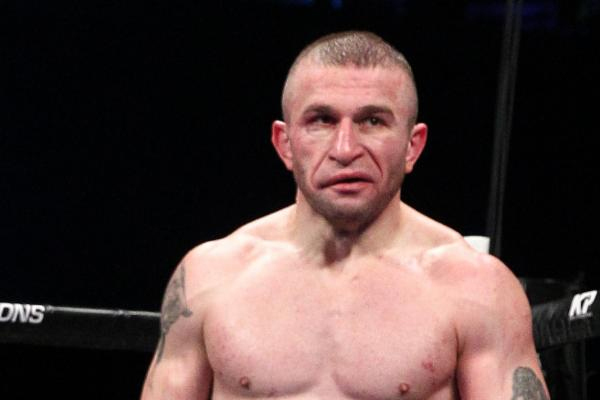 It looked like 2017 was set to be Avtandil Khurtsidze’s year. Long avoided by top contenders, he stepped in on a few days notice in March 2016 to face blue-chip contender Antoine Douglas. He battered the undefeated American, dropping him in Rounds 3 and 7 and stopping him via TKO in Round 10. In April he went to England and reality checked another undefeated, highly regarded contender, battering Tommy Langford and stopping him in just five rounds. That victory earned him a shot at WBO belt holder Billy Joe Saunders. They were supposed to fight in July 8. I was already on record picking Khurtsidze to keep his win streak going. A win over Saunders would have placed him at the very top of the division and made him a leading candidate to face the winner of Gennady Golovkin and Saul Alvarez. But all those potential big plans came to a screeching halt last week when the Georgian native was one of 33 indicted on Federal racketeering and fraud charges, as part of a sweeping crack-down on the Russian Mob. According to a Friday story on Boxing Scene, Khurtsidze was caught on video punching an informant and is now being held without bail. From the outside looking in, Khurtsidze has been a fighter who is easy to cheer for. His only loss in the past decade came by controversial decision against top contender Hassan N’Dam in October 2010, fighting in N’Dam’s native Paris. After the tough loss to N’Dam, he languished in relative obscurity–he was an obscure fighter with a very hard-to-pronounce name. At just 5’4″, he was far shorter than any other contender in the middleweight top 50. His height, combined with his physical power, made him an awkward, dangerous fighter for other contenders. So nobody was lining up to hand him opportunities. To be a last-minute replacement for a hot prospect like Douglas was the chance he needed. The win made him a borderline top-10 contender. The follow-up knockout of Langford made him one of the division’s hottest names. He is still innocent until proven guilty, of course. But as of now, it looks like the door that finally opened may be closing fast for him.